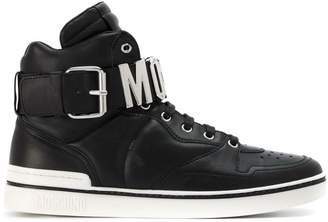 Moschino creates cool pop culture-inspired clothing for the modern streetwear aficionado. 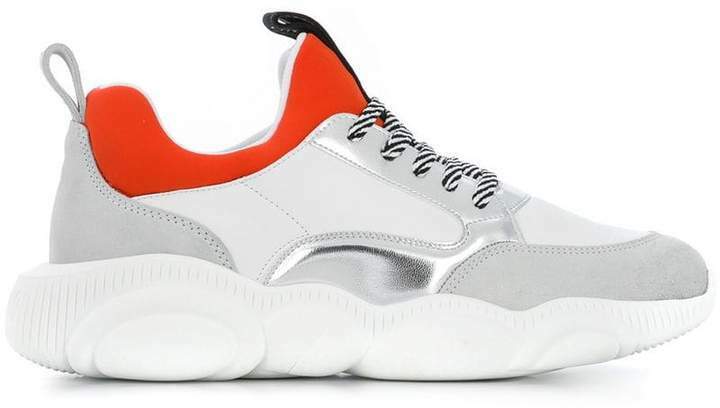 Crafted in Italy, these silver-tone, white and red leather and rubber colour-block sneakers are a must-have this SS19. 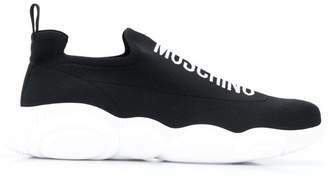 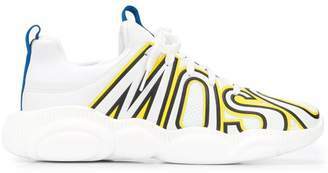 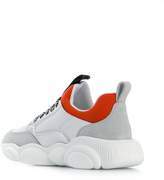 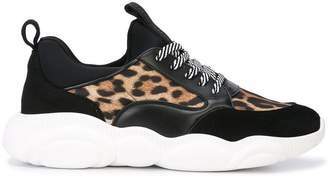 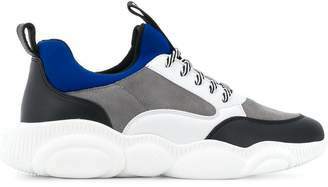 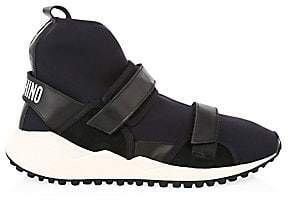 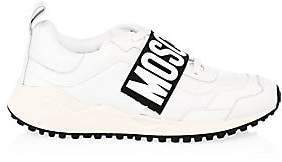 These trendy sneakers feature a round toe, a flat sole, a lace fastening, a logo patch at the tongue, a pull tab at the rear and a panelled colour block design.